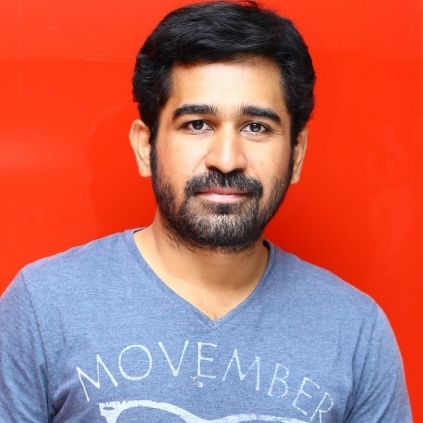 OFFICIAL : A SURPRISE ANNOUNCEMENT ON VIJAY ANTONY’S NEXT! Vijay Antony whose last release was Yaman, has made an official announcement on his next movie after Annadurai. The actor who is known for choosing different kinds of scripts is set to work on Kiruthiga Udhayanidhi’s next. The project has been titled “Kaali” and it will be produced under the banner Vijay Antony Film Corporation. Vijay Antony confirmed the same through his Twitter handle with, “Happy to announce that, my next project KAALI will be directed by my friend @astrokiru produced by Vijay Antony Film Corp @mrsvijayantony.” Kaali will release after Vijay Antony's Annadurai. People looking for online information on Kaali, Kiruthiga Udhayanidhi, Vijay Antony will find this news story useful.